Sure, planes are great, but they lack both romance and a dining car. Trains, on the other hand, have both. And you can call them choo-choos. With this in mind, why not to take a trip back in time and across the country with a good old-fashioned ride on the rails? 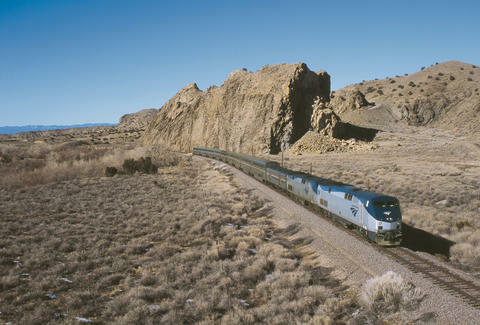 You just remembered you love trains, and Amtrak is throwing a three-day winter sale. From January 30 to February 1, Amtrak is knocking 25% off winter travel. This includes trips from February 13 through March 22, 2018. You'll be taking rides like New York to Chicago for $82, Chicago to New Orleans for $101, and New York to Miami for $116, among others. Unlike a plane, you'll get to bring two personal items, two bags, and get plenty of legroom without paying extra. There are also no middle seats, Wi-Fi on most trains, and the cafe and dining cars. Head to Amtrak's website and book by Thursday. You're going to be riding coach here, but that just adds to the whole iconic American experience, so embrace it. Also note that children between 2- and 12-years-old can join an adult at half the regular adult fare. At the very least, you're guaranteed a better Instagram story than on an airplane.